THE US, France and the UK are believed to be in intense “good faith” discussions with China to arrive at a “compromise”, including on the language on the UN designation of Pakistan-based Jaish-e-Mohammed chief Masood Azhar as a global terrorist, according to people familiar with the matter. In the last 50 hours, it is believed that the original sponsors of the Azhar resolution are having intense “good faith” consultations with China on what many familiar with the matter describe as a “compromise”. This probably means Azhar would be designated as a global terrorist by the UN body, but the language of designation would include a language acceptable to China. China is believed to have suggested “certain changes” in the language of the terrorist designation. The US, Britain and France are believed to be currently looking at the suggestions. It is understood that there is back-and-forth exchange of texts on the matter. The three countries have indicated that they are willing to accommodate Chinese request for changes in the language as long as it does not change the substance of the resolution and it ends up designating Masood Azhar as a UN global terrorist. But unlike in the past, the US, France, Britain and other members of the Security Council are not willing to wait for long to conclude their discussion with China. It is learnt that China has been informed by these countries that they are seriously looking for other options, in particular an open debate followed by a vote on a resolution to designate Azhar as a global terrorist, pretty soon. Not months, not weeks but days. This is the what Beijing has been conveyed. At the same time, officials of the these countries believe that China this time has been much more co-operative than in the past. But in case at any point the three countries get a feeling that China is not doing a good faith negotiation on the “compromise formula” that is being negotiated, they are ready with the other move. China, after its decision to put a technical hold on the resolution, has invited criticism and its stance has also resulted in an outrage in India. Beijing would have to calculate the risk of being isolate globally on the issue of fight against terrorism or signing off to a compromised language that would designate Masood Azhar as a global terrorist, since except China, all other UNSC members supported the resolution. Getting Chinese support to designate Azhar as a global terrorist, at the UN, in any format, would be considered as a terrific accomplishment. The very fact that there has been discussions going on between China and the US, Britain and France, is considered as a positive development. Those familiar with China’s working pattern are still not confident and that’s the reason why they are seriously working on other options including an open debate in the Security Council, where Beijing might find it difficult to defend a terrorist in public. 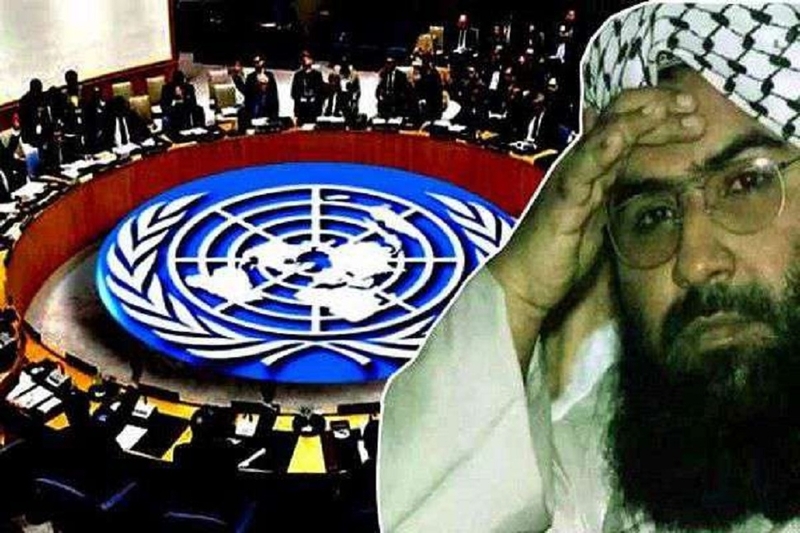 On Wednesday, China blocked for the fourth consecutive time a resolution at the UN Security Council Committee on designating Azhar, head of the JeM terror group, as a global terrorist. The proposal to designate Azhar under the 1267 Al Qaeda Sanctions Committee of the UN Security Council was moved by France, the UK and the US on February 27, days after a suicide bomber of the JeM killed 44 CRPF soldiers in Jammu and Kashmir’s Pulwama, leading to a flare-up in tensions between India and Pakistan. If the fresh efforts by the US, France and the UK does not end up in the formal designation of Azhar, the three permanent members are planning to soon move a resolution for his listing in the most powerful wing of the UN which would be preceded by an open debate on the issue, according to people familiar with the matter. INDIA will show patience with China for “as long as it takes” but will not compromise its position on terrorism, Government sources said on Saturday, days after China blocked a fresh move at the UN to designate Jaish-e-Mohammed chief Masood Azhar as a global terrorist. China has to resolve certain issues with Pakistan though it has adequate information that certain terror groups are operating from Pakistani soil and they are against Chinese interests as well, sources said. It was for China to resolve the issues with Pakistan, and India will show patience on it, they said, adding New Delhi has shared evidence against Azhar with all the UN Security members including China. On Wednesday, China for the fourth time blocked the bid in the UN Security Council to designate Azhar by putting a technical hold on the proposal. The Chinese move was termed “disappointing” by India. Sources said India was “cautiously” confident that eventually Azhar will get listed as it has a solid case against the JeM chief. India is not going to make any compromise or cut any deal with any member nation of the UN Security Council or UN Sanctions Committee on designating Azhar as global terrorists, sources said, adding New Delhi is ready for a long-haul on the issue. They said 14 out of the 15 members of the UN Security Council (UNSC) supported India on the issue while seven members were co-sponsoring the resolution to list Azhar. India will not rest until he is proscribed by the UN, they said. The fresh proposal to designate Azhar under the 1267 Al Qaeda Sanctions Committee of the UN Security Council was moved by France, the UK and the US, in the wake of the Pulwama terror attack in which 40 CRPF personnel were killed. JeM had claimed responsibility for the Pulwama attack. Sources said terrorism was an issue which is not-negotiable for India and if China needed more time, New Delhi was ready to wait.